1. I am not a movie critic. 2. I am not a part of a Christian watchdog group. I hated the movie. It was terrible. It was not historically accurate. It was not Biblically accurate. I’m not a big fan of Science Fiction movies (I.e. the fallen angels who turned into Transformer rock giants). There were many new age elements that are obviously not Christian. I felt like the movie trailer made it out to follow the Bible. I should have done more research before we showed the movie trailer at Graystone, or I took my kids. I knew there would be “creative liberties”, but I had no idea they would steer so far from Biblical truth. I honestly thought I was having a heart attack during the movie. Ask Jennifer. It may have been the buttered popcorn. The movie did create many conversations about the Bible with my kids. I have also had several conversations out in the community about the movie. And it’s given me opportunities to share with others about God and the Bible. Many people are complaining because God was not mentioned in the movie. I didn’t see it that way. I thought God was a central part of the movie. In fact, the entire movie was about God. The movie had many good Bible themes: Creation, good vs. evil, the depravity of man, the consequences of sin, etc. 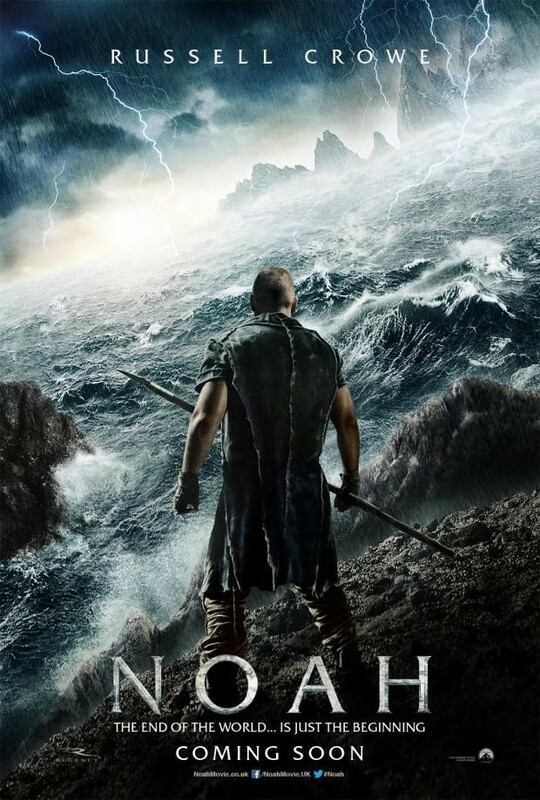 So, there were some redemptive elements in the movie, but it changed many aspects of the Biblical narrative of Noah and the flood. And I think this is why most Christians are “angry” or frustrated. For an accurate Biblical account of Noah and the flood, click here to watch my message from Graystone Church. Or better yet, read the story for yourself in Genesis 6-9. Here’s another thought: we go to the movies for entertainment. We go to church for theology. Let’s not confuse the two. If anyone went to see NOAH only because we showed the movie trailer at Graystone, I am sorry. I feel bad about this. And this is probably why I felt like I was having a heart attack or panic attack during the movie. As a pastor, I would not recommend the film, especially for kids or those without sound theology. Although, it’s probably good for Christian leaders to see it, so we can discuss it with others. As your friend, I would not recommend the film, because it is stupid and a waste of money. You would be better off spending your $10 enjoying some great food at Foggy Bottom BBQ that opens in Loganville on April 1. Thanks for the post on not seeing the movie – I think Foggy Bottom is a great call on how to spend the money. What I appreciate most about this blog is the statement that we go to church to learn and study about God (theology) and grow closer to Him and not for entertainment. Well said.